Logitech is rolling out a bunch of new hardware of late. Hot on the heels of the Logitech Pro Gaming Mouse (which we reviewed last month), they're now rolling out a completely new line of products under the "Prodigy" name. 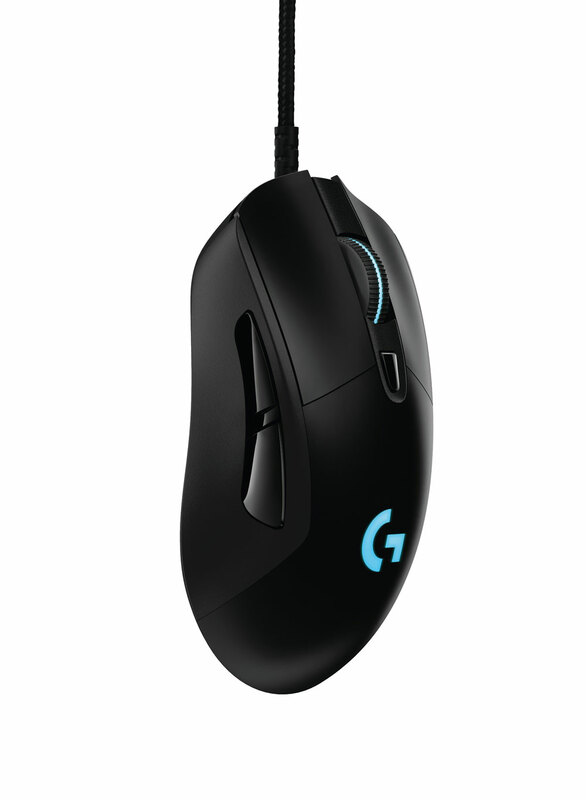 First up from that line is the G403 Prodigy mouse, available in both wired and wireless versions. 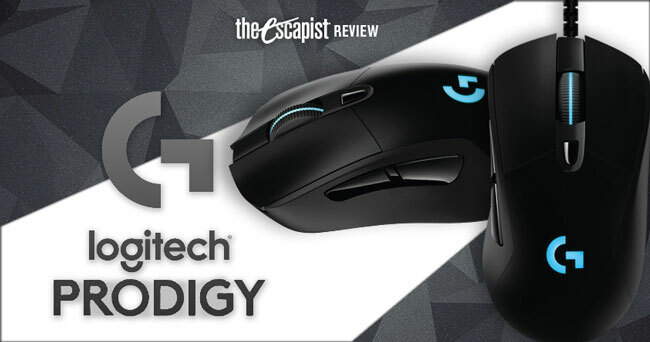 Logitech says that the idea behind the Prodigy line is to offer a quality product that is not as complicated as some of their higher-end offerings. While the G403 contains the same high-end components as other Logitech mice like the G900 and Pro, it's missing a lot of the extra features. But you won't be thinking about that when you first put your hand on the G403. What you'll be thinking is that this mouse feels really familiar, and that's because its design was inspired by the classic Microsoft Intellimouse. The G403 feels great in the hand. It's not as large as the G900, but neither is it as small as the Logitech Pro. It weighs in at 90 grams (wired) and 107 grams (wireless). Both versions of the mouse include a 10 gram weight that can be inserted if you like a heavier mouse, as I do. It features the same spring-tensioned left and right buttons as the G303 and Pro mice, and they still feel very responsive. The scroll wheel is rubberized, and lacks the ability to tilt it left or right to scroll horizontally. Also missing is the ability to unlock the scroll wheel for faster scrolling, but that's not a huge loss. The two side buttons are on the left only, and are not movable. In short, this is not an ambidextrous mouse. In its wireless configuration, the G403 is extremely solid. You can expect around 25 hours of battery life out of one charge, and I got at least that while working and gaming. 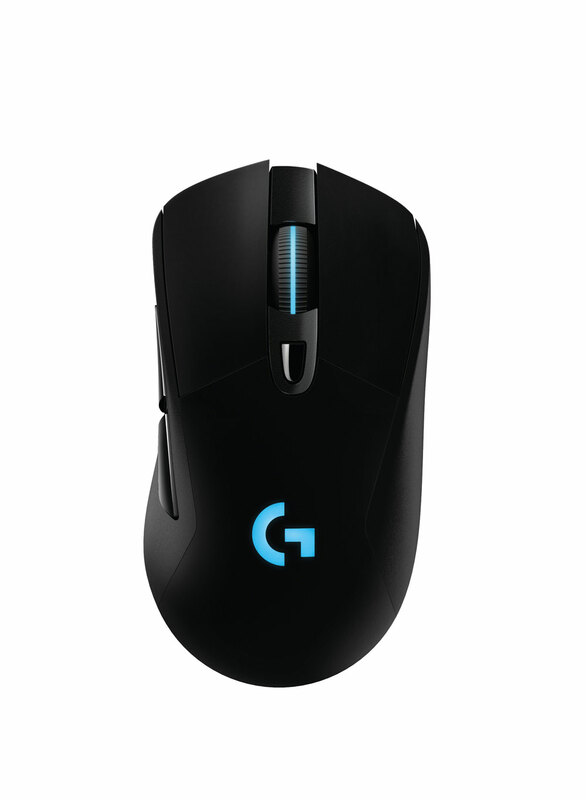 It utilizes the same wireless technology as the G900, which means it's basically lag-free, with a 1,000 Hz polling rate and a range of DPI settings from 200 - 12,000. The wired version is similarly responsive, with the same DPI options. Both versions also include the high quality PMW3366 sensor that's found in a number of other Logitech mice. Both versions of the G403 work with Logitech's excellent software. Through it, you'll able to customize your DPI levels, set your polling rate, and of course customize the RGB lighting. The software also gives you detailed information on how much battery life is left on the wireless G403, and allows you to change settings to increase it. 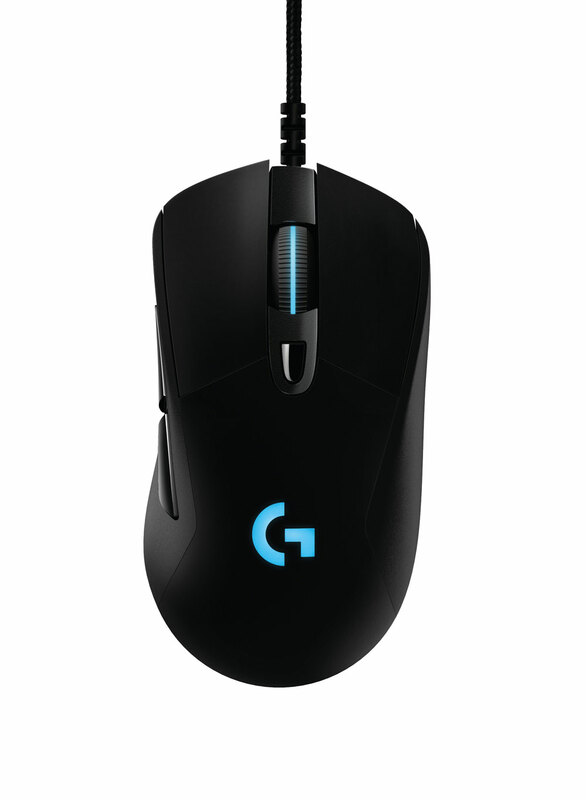 With a price point of $69.99 (wired) and $99.99 (wireless), the G403 certainly isn't going to break the bank, and it's got a lot of performance under the hood. It feels good in the hand, or at least it does for right-handers. Most importantly, it doesn't skimp on quality to lower its price point, It just eschews some of the extra features of its more expensive brethren. Bottom Line: Logitech set out to make a mouse with high-end components and a mid-range price, and the G403 accomplishes that goal. It might not have all the bells and whistles of more expensive mice, but it includes everything most gamers will ever need. Recommendation: If you're looking to get your hands on a gaming mouse with tons of features and a familiar shape without spending a fortune, the G403 Prodigy gaming mouse could be exactly what you want.